Filed to: highlight reel? for the raiders?Filed to: highlight reel? for the raiders? highlight reel? for the raiders? In the NFL, if a player on the punting team touches the ball first before it lands in the end zone, a player on the return team can scoop it up and advance it without worrying about a fumble; the turnover wouldn’t count against them. 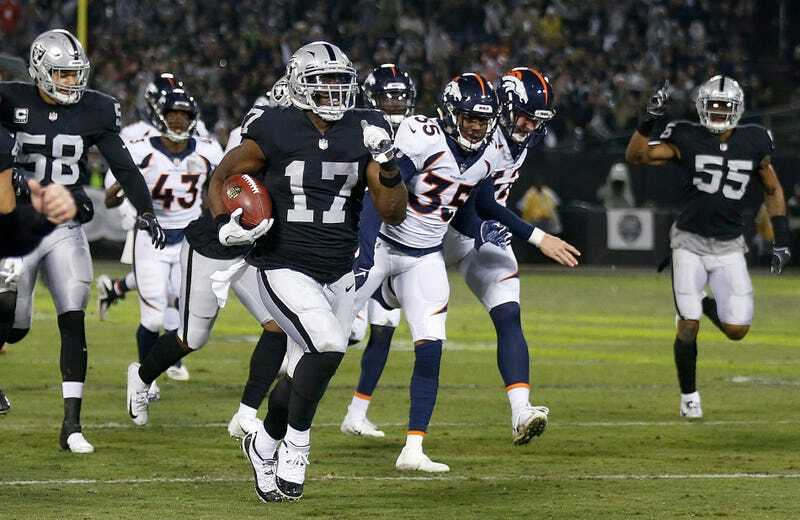 Raiders return man Dwayne Harris is quite familiar with this rule, and it helped him score a 99-yard touchdown Monday night. This game might have also been the last at the Oakland Coliseum, since the city is now suing the team as well as the NFL. Oakland won’t have Grudes to kick around anymore! It’s unclear who will get that luxury next season.